Technologists band together to fight the "evil" they helped create. Today, children have access to technology at quite young an age, something that was largely impossible for generations past. Given that research shows that digital technology affects our brains and that our brains are most malleable when we are children, the potential dangers of tech when used by young people is a hot topic. Now, a number of tech experts are joining forces in an attempt to protect today’s youth from these dangers. The group is called the Center for Humane Technology, and amongst its ranks are tech experts who worked for Google and Facebook when the companies were just starting out. “We were on the inside. We know what the companies measure. We know how they talk, and we know how the engineering works,” former Google in-house ethicist Tristan Harris, who heads the new group, told CNBC. The Center for Humane Technology is working in close collaboration with a number of other groups, including nonprofit media watchdog Common Sense Media, to launch an educational ad campaign called The Truth About Tech. The campaign will take a similar approach to antismoking programs aimed at children. The goal is to raise awareness amongst children, parents, and educators about the dangers of tech, particularly the depression and depressive behavior that could result from excessive exposure to social media. Common Sense Media and the Center for Humane Technology will invest $7 million to fund the campaign to spread awareness about the dangers of tech, while media partners including Comcast and DirecTV will donate $50 million in the form of airtime. While the intentions of the Center for Humane Technology’s members are quite noble, there’s something ironic about the whole movement — without the efforts of these early innovators, the state of technology and social media would likely be far different. Roger McNamee, a Center for Humane Technology member and early investor at Facebook, acknowledges the role guilt plays in the formation of the group, noting that he’s horrified at what he helped create. 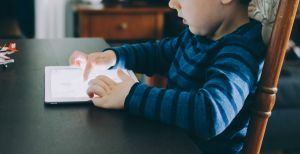 For many, perhaps the biggest surprise is that tech bigwigs, including Apple co-founder Steve Jobs, have long been wary of — or at least aware of — the potential dangers of tech for children. Yet despite these words of warning from insiders, it’s business as usual in Silicon Valley. The irony of that is not lost on Common Sense CEO and founder Jim Steyer. “You see a degree of hypocrisy with all these guys in Silicon Valley,” he told CNBC. “Reversing the digital attention crisis,” as the Center for Humane Technology puts it, will take more than a targeted ad campaign. As such, the group is also planning to lobby Congress to pass legislation that will help by limiting the powers of tech companies and funding research into the impact of tech on children’s health. While social media and technology can be harmful for adults, children are even more vulnerable. Hopefully, the Center for Humane Technology will be able to help us usher in a future in which we can reap the benefits of technology without the negative consequences.